Josie Bell put one worn cowboy boot in front of the other as she walked up a flat, dusty South Carolina lane toward her childhood home. In her right hand, she carried a beat-up guitar case. In her left, an equally beat-up duffle bag. She tossed a glance over her shoulder at the old pickup truck that had carried her all the way from Nashville, but hadn’t quite made it the last hundred yards. Not the classic Chevy’s fault—she’d neglected to notice the gas needle on E. Practical concerns had never been her strong suit. The dirt lane gave way to a white picket fence she remembered well, and a cozy, shaded lawn on the other side. Towering oaks draped with Spanish moss bent large branches over the house like protective arms. “One day one of those branches is going to break off in a storm and come crashing through the roof,” her sister, Daphne, had recently said to her on the phone. Daphne had never loved the house the way Josie had. The house was the one good thing about coming back here. It was like a safety net, a place to catch her after a fall. She stepped up to the white gate, raising her gaze to the signpost beside it. The two-story clapboard home had been built in a time when people gave houses names. Her great grandparents had called this one Rosebud. It wasn’t so grand a structure as most houses that sported such names—but it was well kept, warm, and loved. Cottage green shutters and doors, accompanied with bits of salmon pink trim, served as the perfect accents on the white weatherboard background. Her whole life, people had called the home by its given name. It was never “Josie’s house” or “Daphne’s” or “the Bell place.” Friends would say, “There’s a bonfire tonight at Rosebud,” or “Pick you up at Rosebud at six.” It had been a gathering place, bustling with life. And maybe it was crazy, but the house looked a little sad to her right now. Possibly because no one lived in it anymore. Or maybe because of the ugly For Sale sign in the front yard. She’d never been happier that the house resided at the end of a private lane where the lack of traffic made the sign, to her way of thinking, mostly useless. 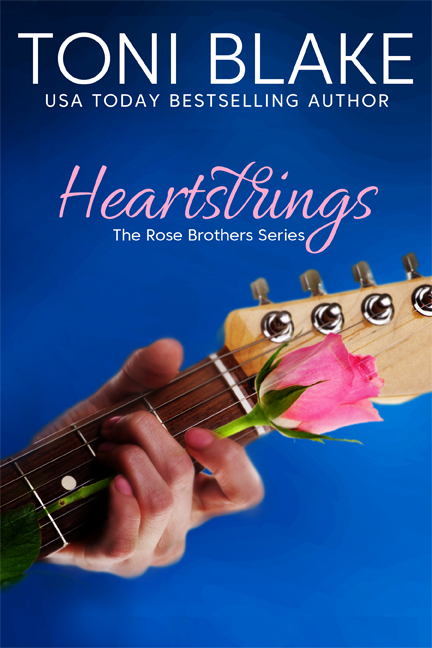 First things first—she lowered her guitar and bag to the ground, unlatched the gate, and walked to the metal realty sign. Pulling it up from the yard, she carried it to the side of the house and leaned it against the foundation, out of sight, making it completely useless. There, that’s better. Then, wiping off her hands, she reached into the back pocket of her blue jeans, pulled out her cell phone, and dialed the number on the sign. “Sandy Listerman,” said a voice on the other end after only one ring. “Sandy, it’s Daphne Rawley,” she lied. Most people couldn’t tell her and her sister apart on the phone—which had been awkward and even occasionally embarrassing as teenagers, but seemed pretty handy right now. “Yes, of course—but it’s necessary. I’m sorry, and thanks. We’ll call you the next time we need a realtor. Take care now.” And then she disconnected. Before she’d left home for Nashville seven years ago, she couldn’t have done something so bold and without a second thought. But Music City had chewed her up and spit her back out, leaving her a different person, in some ways for the better and in some for the worse. It wasn’t easy to chase a dream, but she’d chased hers. It was even harder to give up on a dream, but she’d finally done that, too. She didn’t have a plan. She didn’t know what she was going to do with her life now, how she would manage to keep Rosebud, or how she’d face her past and the things—and people—she’d left behind. But she had no other choice. With no place else to go, Josie Bell had come home to Sassafras, South Carolina, out of money, out of luck—and out of gas.